Tim has released the second single from the Flowers At The Scene album, titled Borderline. Borderline features Big Big Train’s David Longdon on backing vocals & flute, as well as Dylan Howe, Colin Edwin & Ian Dixon. The track is available to stream on Spotify, and Flowers At The Scene can be bought from Burning shed. Burning Shed orders (whilst stocks last) come with a signed greeting card and an mp3 EP of alternate versions containing The Train That Pulled Away (string driven edit) (3.33), Not Married Anymore (featuring Jim Matheos guitar solo) (3.33) and What Lies Here (Kevin Godley lead vocal version) (4.01). Tim had this to say about the track (and video): “Borderline started life in 2004. Roger Eno had given me some of his music and while listening to a lovely piece called Crossing The Border, I heard a vocal melody and developed a song out of his instrumental. Many years, many re-writes and many re-recordings later, the song had failed to break free from my hard drive of doom. Tim Bowness’ fifth solo album Flowers At The Scene is available now on InsideOutMusic/Sony. Produced by no-man, the album is a vibrant collection of 11 strikingly diverse songs. Available as a CD in deluxe digipak, 180g black vinyl in gatefold cover with insert and CD, and a Burning Shed only 180g red vinyl edition in gatefold cover with insert and CD. All orders from Burning Shed come with an exclusive signed greeting card (whilst stocks last) and an mp3 EP of alternate versions. Watch the video for the album’s first single, I Go Deeper. Tim added of the new album: “Lost In The Ghost Light felt like a conclusion to a particular way of writing and working. In the wake of that, Flowers At The Scene very much feels like a new beginning. Buy Flowers At The Scene now. Tim and his band (including John Jowitt, Michael Bearpark, Andrew Booker, Stephen Bennett and Steve Bingham) will be performing a co-headline show with Anneke van Giersbergen (The Gathering, Devin Townsend, VUUR) at Boerdiij in Zoetermeer on Friday 31 May 2019. Tim has written the sleeve notes for a new Peter Hammill box set. All pre-orders come with a card signed by Peter. Pre-order from Burning Shed, with a February 2019 release date. 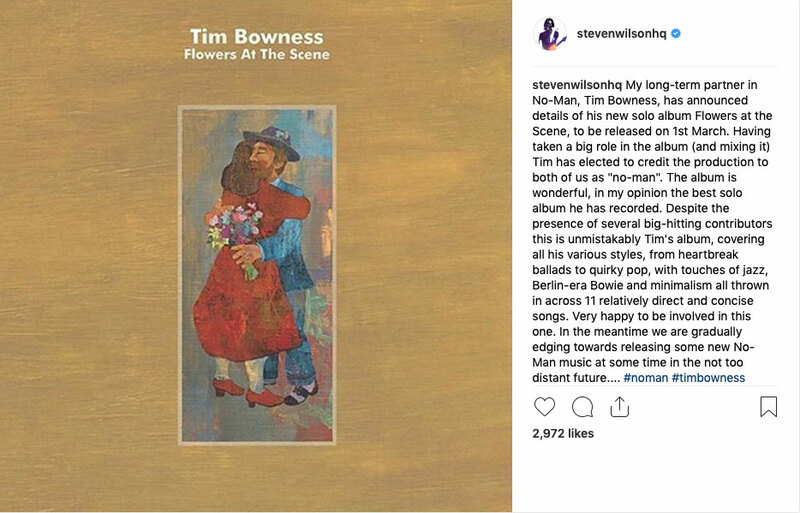 Steven Wilson has posted his thoughts on Tim’s Flowers At The Scene album on his instagram account, along with news of a forthcoming no-man release. Produced by no-man, Flowers At The Scene is a vibrant collection of 11 strikingly diverse songs. 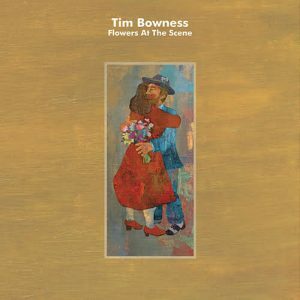 Against a backdrop of propulsive Art Rock, heartbreaking ballads and more, Tim Bowness distinctively delivers cinematic storytelling and disarmingly direct confessional lyrics on his strongest solo album to date. Representing the duo of Tim Bowness and Steven Wilson’s first joint production in over a decade, the album features stunning performances from an extraordinary cast of players including Peter Hammill (Van Der Graaf Generator), Andy Partridge (XTC), Kevin Godley (10cc), Colin Edwin (Porcupine Tree), Jim Matheos (Fates Warning/OSI), David Longdon (Big Big Train), co-producer Brian Hulse (Plenty), Australian trumpeter Ian Dixon, and drummers Tom Atherton and Dylan Howe. The Curator, David K Jones, violinist Fran Broady and Charles Grimsdale also guest. Mixed by Steven Wilson and mastered by Steve Kitch (The Pineapple Thief), the album’s poignant artwork is by Jarrod Gosling. Flowers At The Scene - on Inside Out Music – is available now. “Lost In The Ghost Light – which was always intended as a one-off – felt like a perfect conclusion to a particular way of writing and working. In the wake of that, Flowers At The Scene very much feels like a press reset. It was an exciting project to put together and it was great working closely with old sparring partners, Brian Hulse and Steven Wilson. Steven was initially brought in to mix the album, but very quickly he was doing far more and developing production ideas alongside Brian and I. Listening to pieces such as Not Married Anymore, Borderline and The War On Me, we both felt that the project had more than a hint of the spirit of no-man and it became obvious that this was a no-man co-production rather than a Bowness/Wilson one. Elsewhere, the likes of Fates Warning’s Jim Matheos, Colin Edwin, Dylan Howe and Tom Atherton delivered some incredible performances and it was a delight to get Peter Hammill, Kevin Godley, Andy Partridge and David Longdon involved. 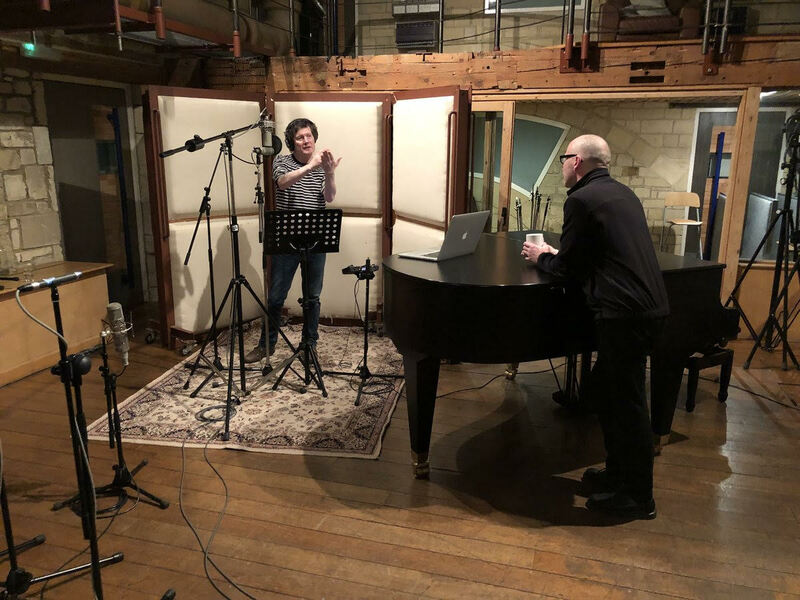 Tim has written a new diary entry - that includes information about his next solo album, along with details of recent collaborations with Big Big Train, Twelfth Night, Saro Cosentino and Stefano Panunzi. A gap and then some! This constitutes the second blog entry this year and only the third over an eighteen month period. Below, find some reasons for my protracted ‘slow blog’ absence. Work is now complete on T-Bo solo album number five. It feels very much like I’ve pressed reset and, in some ways, has the air of an exciting debut release about it. Produced by me, Steven Wilson and Brian Hulse, 13 pieces were assembled and though inevitably there’s a suicidal ballad or four in the mix, it’s perhaps the most eclectic and accessible collection of pieces I’ve put together since no-man’s mid-1990s output. Feeling a little like a re-awakening, it reconnects with elements of my early work while also stretching out into new territories (for me). Overall, it’s the boldest album I’ve made for some time and notably re-introduces the bittersweet early no-man quality of combining uplifting music with downbeat sentiments. Abandoned Dancehall Dreams logically emerged out of Schoolyard Ghosts and Stupid Things was an extension of the possibilities ADD suggested. Lost In The Ghost Light took an element of the preceding albums – the epic Smiler At 50 – and blew it up into a unified album experience. By comparison, the new album has nothing in common with Lost In The Ghost Light and little that echoes aspects of ADD or Stupid Things. Other than the dynamic duo of SW and Colin Edwin, I’m working with an entirely new team of collaborators. Virgin solo album contributors include Brian Hulse, James Matheos, Ian Dixon (the brilliant trumpet player on no-man’s Returning Jesus), Alistair ‘Curator’ Murphy (strings) and master drummers Tom Atherton and Dylan Howe. The superstar guest slots are taken up by Peter Hammill (providing some superbly biting backing vocals, plaintive piano and off-kilter guitar), XTC’s Andy Partridge, Big Big Train’s David Longdon (backing vocals and flute) and one of my earliest musical heroes, Kevin Godley (10cc / Godley & Creme). Elsewhere Adam Holzman has provided a gloriously impressionistic Wurlitzer part and Plenty bassist David K Jones has recorded three fine performances (including his truly wild debut on double bass). It feels like an honour to be in such company on such good form. As always, the fifty two minutes of new material has been whittled down to a classic album length of around 43 minutes and, as always, the process of eliminating songs and creating the optimum running order has been an obsession for me. The quality of the cutting room floor songs is unusually strong, with one piece being a showcase for Kevin Godley’s rich and mournful voice and another including some of the best playing on the project. If Lost In The Ghost Light was a coherent summation of a very particular and intentionally archaic approach to sound and composition, the new album – likely to be called Flowers At The Scene – is closer to Brian Eno’s description of the Roxy Music debut, which he felt presented as many possible future directions for the band as there were songs. The release date is looking as if it’ll be exactly two years after LITGL (in February 2019). The waiting for this will seem interminable. One of my favourite songs on the new album came out of my teaching ukulele chords and demonstrating studio overdubbing to Bowness Jr.
Finding a pattern I liked, I improvised a song called Lost Quiff (at the age of 7, Bowness Jr is preoccupied with that most contemporary of genres Rock’n’Roll and worships at the altars of Elvis, Chuck Berry, Gene Vincent and many others). The song quickly evolved into something else and the album’s most unlikely source of inspiration was found. The father / son demo of Lost Quiff - a poignant tale that crosses continents – shall remain on the hard drive of doom! As mentioned previously, Bowness / Chilvers 2.0 was completed a year ago. For a variety of reasons, we’re still thinking of what to do with it and when to unleash it upon the world. The only certainties are that time will pass and tears will be shed! Despite featuring all too familiar material and being typically difficult to organise, the T-Bo band God Is An Astronaut support at the Brixton Electric in May was an unexpectedly emotional and powerful performance. John Jowitt – in his first show with the band – was confident, assured and a great visual and musical addition. By God, he even looked like he was enjoying himself (a first for any of us!). Andrew Booker’s playing was as good as I’ve ever heard it – constantly finding new ways of delivering old songs – and the rest of us (me, Professor Bearpark and Baron Bennett) responded in kind by frequently changing our parts. The audience response was incredibly encouraging, but regardless of the positives I felt out of place and out of sorts on the night. As soon as I walked on the stage, I wanted to walk off it. Just to see if it could work if required, the Plenty trio convened – in the Woolley Valley near Bath – to make a collective noise for the first time in 30 years. Initially, it was surreal going through ancient material in much the same way we used to. The approach echoed the Plenty of old and the early no-man, in that backing tapes were used and, consequently, no error in timing was allowed. Improvisation was also strictly forbidden. After a couple of run-throughs everything became more natural and the band sound re-emerged. On the final run-through, there were more than a few special moments. Whatever it was we had was still there and whatever it was we had was different from the later incarnations of no-man or the T-Bo live band. Before, after and during the rehearsals, we’ve been recording songs for a follow up to It Could Be Home. Featuring a more organic sound – plus drummer Charles Grimsdale – the music has opened up in some surprising ways. The 1980s well of songs hasn’t run dry (yet). Talking of which, while clearing my house for an upcoming move, I accidentally found the very first Bowness / Hulse song from the Summer of 1986. A John le Carré inspired ‘Cold War ballad’ called This Side Of The Border, I’d remembered it existed while others doubted my sanity. I’d always loved The Spy Who Came In From The Cold, but could I really have written a song so directly inspired by it? As it turns out, yes I really could. Written at the same time as Towards The Shore – on an old school piano – both songs represented the best things I’d done up to that point. However, between those – still worthwhile to me – songs and Forest Almost Burning (in early 1987), my rare tape discovery suggested we were creatively adrift for six months or so (recording awkward A Better Mousetrap style versions of After The Stranger songs and even more awkward ATS style takes on ABM pieces). A day after it’s rediscovery, This Side Of The Border was re-recorded with Plenty 2 in mind. It remains a favourite song for me and, due to its lyrical theme, a genuine outsider in relation to my other work. Recent sessions have included singing a duet (in the magnificent Real World Studios) with David Longdon on Big Big Train’s lovely Seen Better Days, performing an atmospheric version of This City for Twelfth Night, and writing new pieces with Italian collaborators of old Saro Cosentino and Stefano Panunzi (both lusher than lush). Recent highlights have included meeting up with Pete Morgan and Baron Bennett at Ian Anderson’s rather impressive abode. IA was courteous and talkative and it was great to finally meet him outside of a more pressured back stage environment. Following the Tull tales, the Bowness / Morgan / Bennett trio of reprobates had an all too rare coffee and chat catch-up. The latest Big Big Train single Swan Hunter includes a new version of Seen Better Days, which features Tim on vocals alongside David Longdon. Order the CD (digipak with 8 page booklet) from Burning Shed. 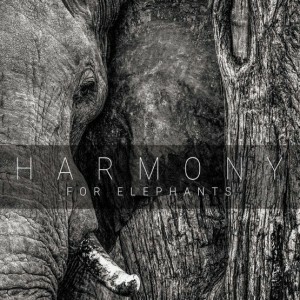 Tim appears on the charity album Harmony For Elephants. He sings lead vocals on Andy Neve’s six and a half minute track Speak To Me, which also features Dave Gregory (XTC/Big Big Train) on guitar. Steve Hackett, Anthony Phillips, Nad Sylvan, Andy Tillison (Tangent) and Nick Magnus also contribute to the album.